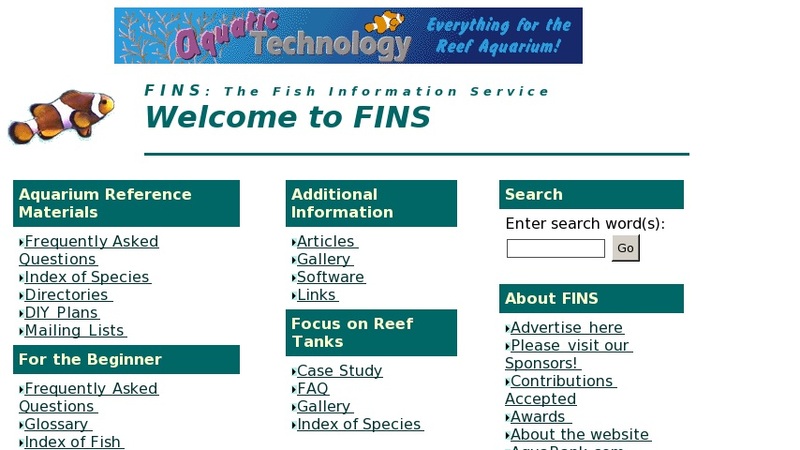 Fish Information Service (FINS) is an archive of information about marine and freshwater aquariums. Site is a wealth of information on fish. Includes: frequently asked questions regarding aquaria, both regular and with coral reef, detailed species list with pictures, software, photo gallery, mailing list, and much more. Site is a one stop source for fish enthusiasts from beginner to expert.